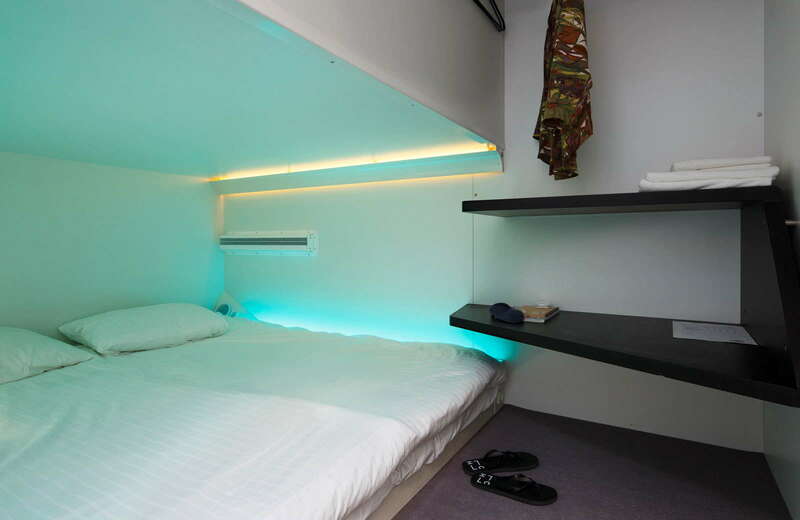 Combining the convivial vibe and affordability of a hostel with (some of) the privacy of a hotel, this pioneering pod concept, which won the Worldwide Hospitality Awards’ “Best Innovation in Hotel Concept 2016”, seems designed with young digital nomads in mind. An interactive app and free portable Wi-Fi connection throughout the city allows guests to be in round-the-clock contact with their “CityHosts”, locals who can offer personal recommendations for coffee shops, clubs, bars, restaurants, and museums, or help guests find their way when they get lost. 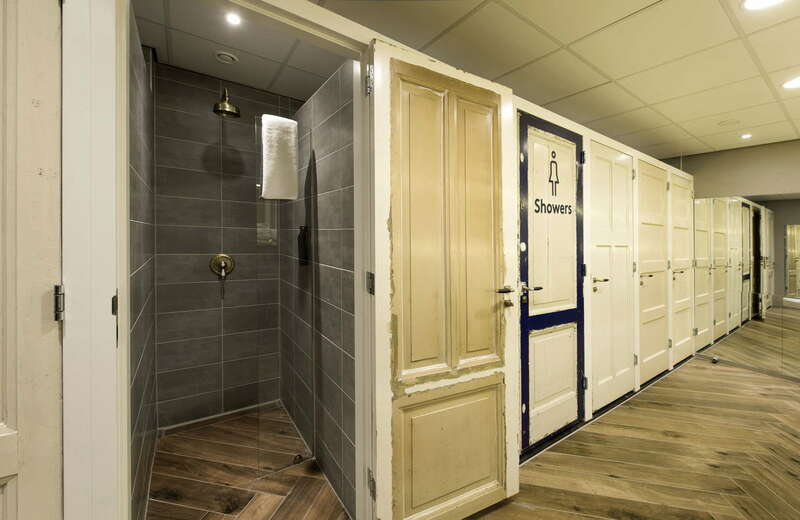 YOU SHOULD KNOW If you’re looking for the trappings of a conventional hotel, or you’re even mildly claustrophobic, this concept probably isn’t for you. 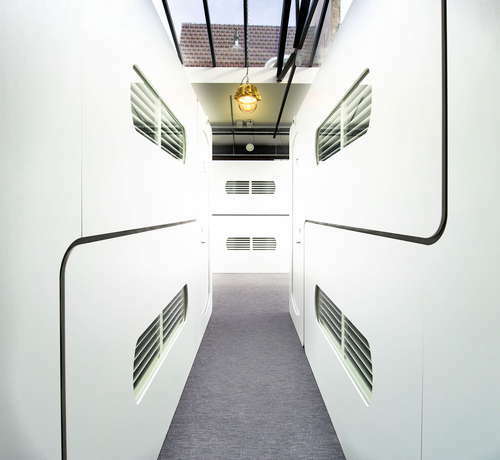 A digital wristband opens the door to your pod (or “hub”), which sleeps two, with just enough space to sit in the wall to wall bed, and stand up by the door. 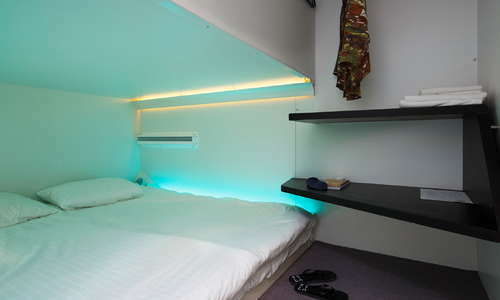 Integrated, customisable mood lighting transforms the all-white space into myriad colors. The pods are ventilated and come with air-conditioning, Bluetooth music streaming, free Wi-Fi, (Dutch) power plugs, and USB ports. 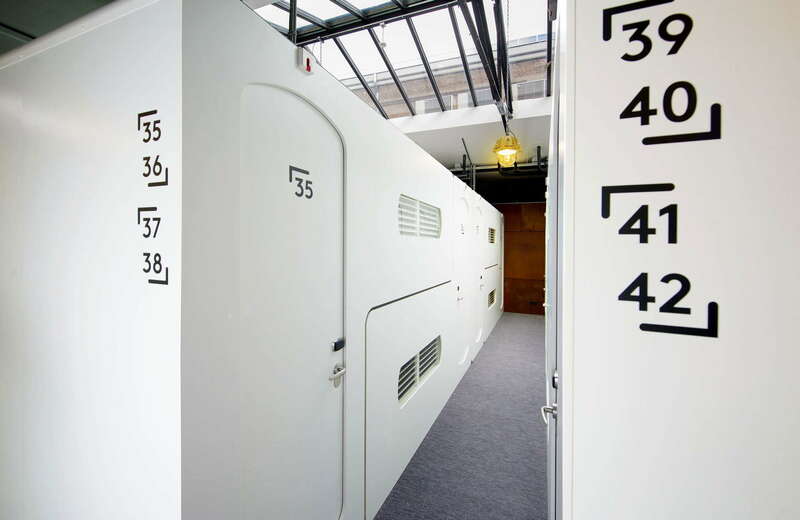 Luggage can be stored in (free) lockers. 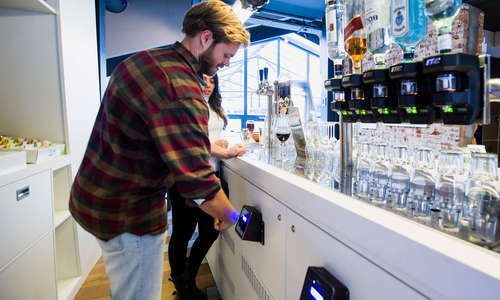 Cityhub offers 24-hour self-service check-in, and a generous check-out time at 12 p.m. The shared bathrooms are well-designed and clean, with trendy herringbone floors, dove grey tiles, copper taps, roomy rain showers, and plenty of mirrors (there’s even a blow-dry bar in the women’s bathroom). Amenities include CityHub kimonos, towels, soap, shampoo, hairdryers, and irons. 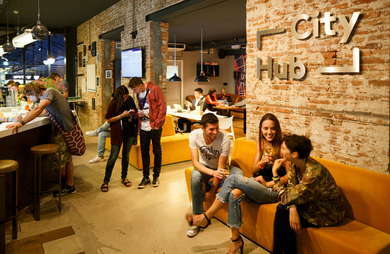 You’ll find touch screens in lieu of a lobby, but the bar and adjacent “hangout area” with its sunny yellow couches, bare brick walls, blackboards, and interactive screens showing the goings-on of guests who want to stay “connected” is sure to appeal to CityHub’s mostly-Millennial target market. There is no restaurant on-site, but for €10 you can reserve breakfast across the street at The Breakfast Club, which is actually not a bad deal. 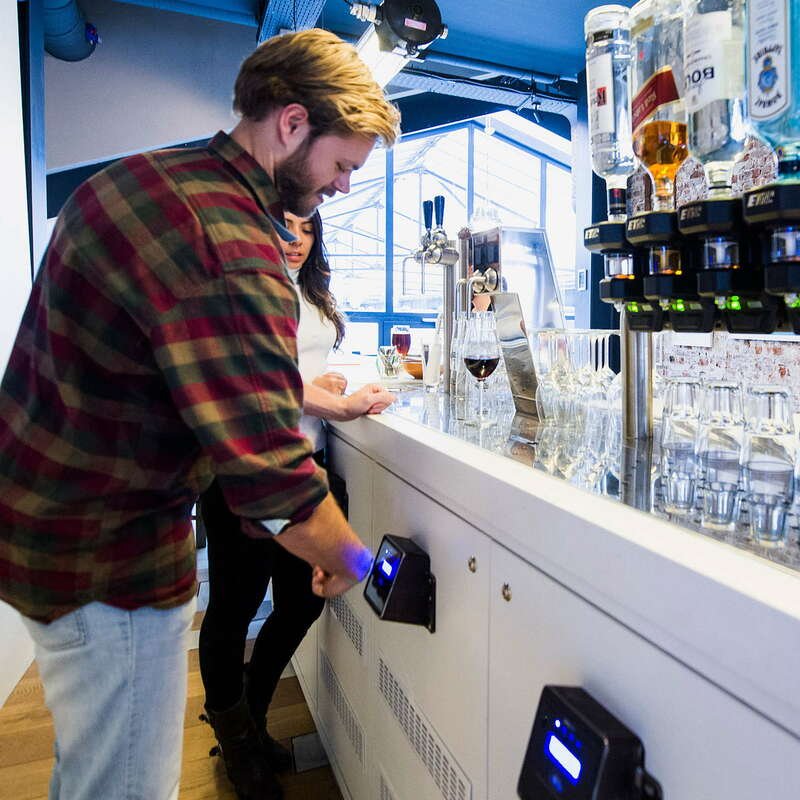 A self-help bar lets you do just that, courtesy of a digital wristband that keeps track of your consumption--(hot) water is free! YOU SHOULD KNOW CityHub accepts most debit and credit cards, but no cash. 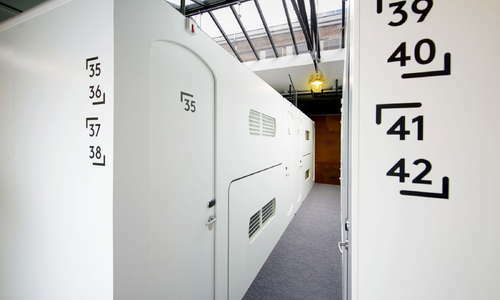 Located in a hip, young, residential neighborhood next to De Hallen, a center for fashion, food, film, and crafts, this hotel offers good access to West, the Jordaan, and the 9 Straatjes shopping district on foot and the big three museums are easily accessed via public transport (there are several tram stops nearby). You’re right next door to Amsterdam’s beloved indoor food court, Foodhallen (1-minute walk), where you'll find 20 food stands in a post-industrial tram depot. Spaghetteria West (2-minute walk) offers that most elusive of Amsterdam finds: a moreish meal (pasta, obviously) for a palatable price. Or, for pan-Asian crowd-pleasers (think bao buns, dumplings, spiced shrimp) in a delightfully kitsch décor, head to the cheerfully named HappyHappyJoyJoy. Trendy West locals love buzzy Bar Spek for its regional beers, G&Ts and stone oven flatbread, and avo toast or pancakes to nurse their hangovers. Or get your buzz on at Lot 61 Coffee Roasters, where you’ll find the city’s best gourmet coffee. 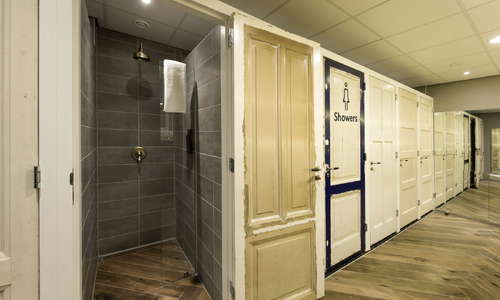 CityHub brings something new to the budget hotel nichewith more privacy and better design than most–if you can handle confined spaces.